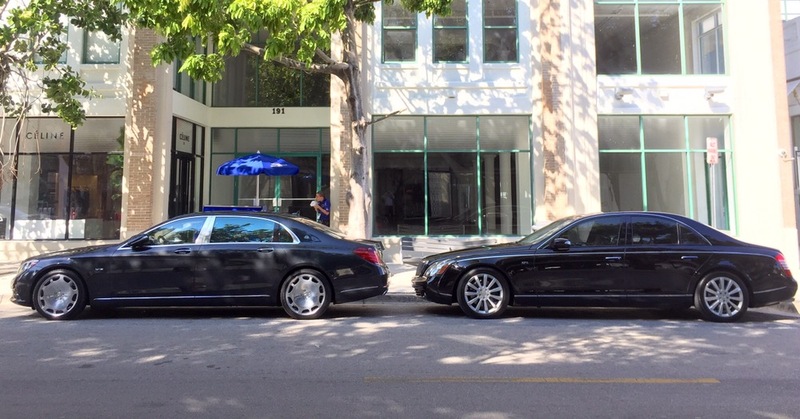 Maybach has a long history of producing some of the finest automobiles in the while, dating back to 1909. 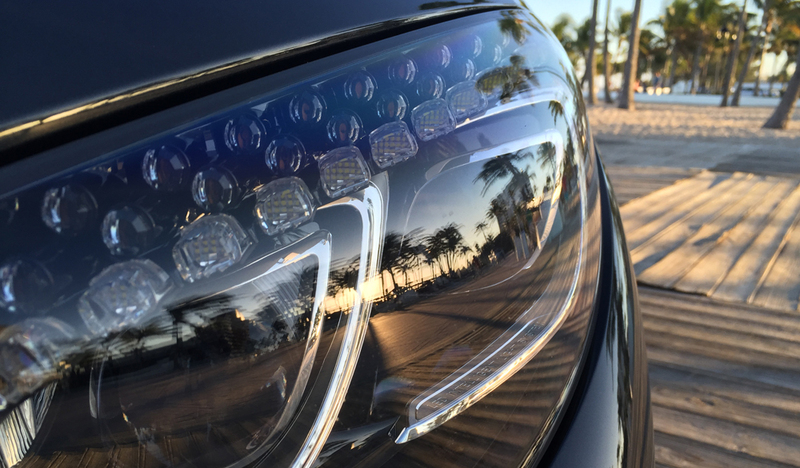 In recent times, the vehicle is often regarded as one of the best kept secrets, because only truly wealthy people (and automotive enthusiasts) will recognize the name. 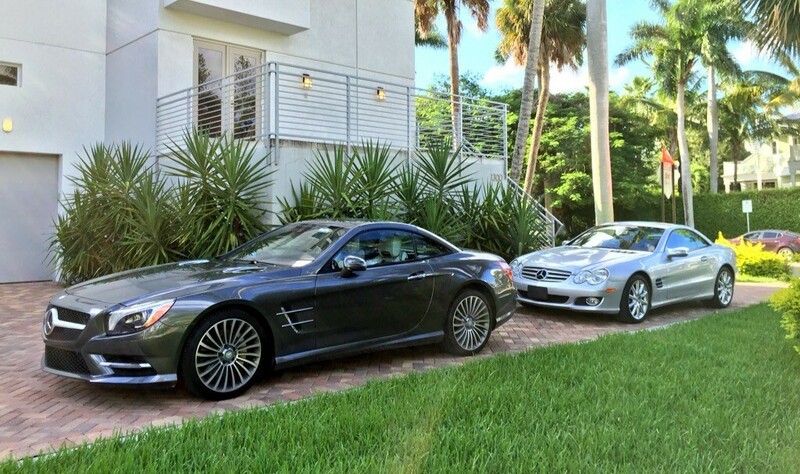 This has both helped and hurt the brand throughout the years – Helped because the elite want something different from the dozens of Rolls-Royces parked in their neighbor’s drive way; and hurt because most people paying 200k+ for car want to be recognized driving a car that cost as much as the average home in mid-west. 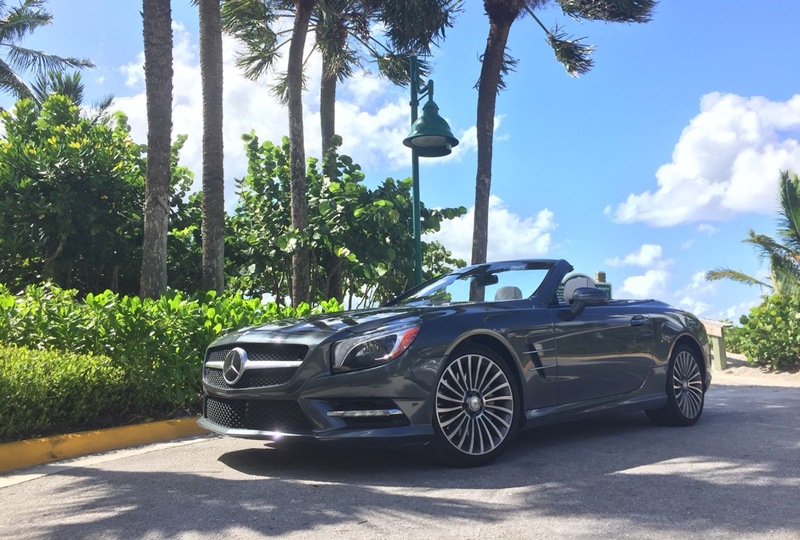 Mercedes, the owner of the Macbach brand, has given us a toy to play with. 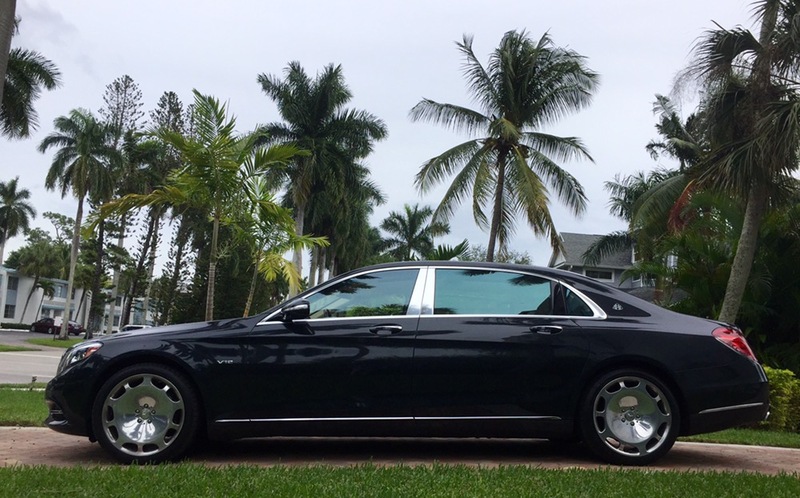 The Mercedes-Benz S600 Maybach. 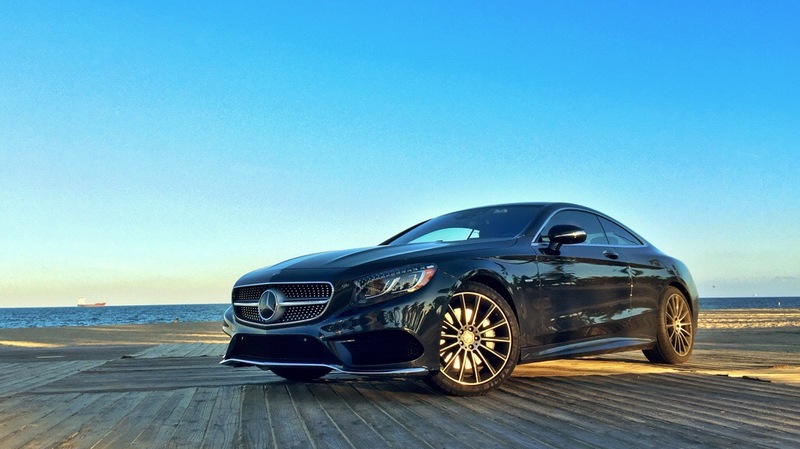 The vehicle is no longer its own make, but an exclusive trim level of the S-Class sedan. The Machbach version of the S-Class is eight inches longer than the long wheelbase S-Class, meaning more legroom for the rear passangers. 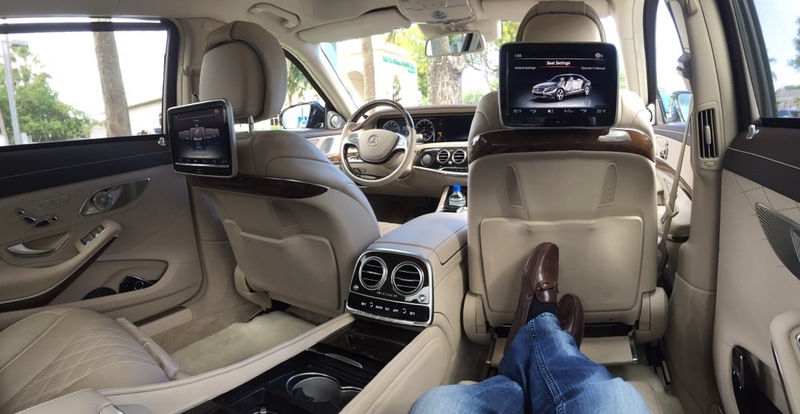 Riding in the back of the Mercedes S600 Maybach is like riding in a private jet. 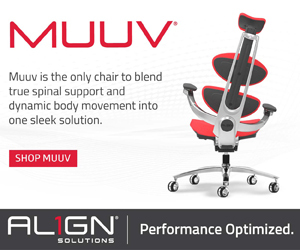 With the touch of a few buttons, your seat reclines and a foot rest pops out. Dual video screens keep you occupied as you tour around town. Should you get thirsty, an available champagne cool and (real) silver champagne flutes are stored in the rear center console. If alcohol is not your thing, the rear cup holders are both heated and cooled. 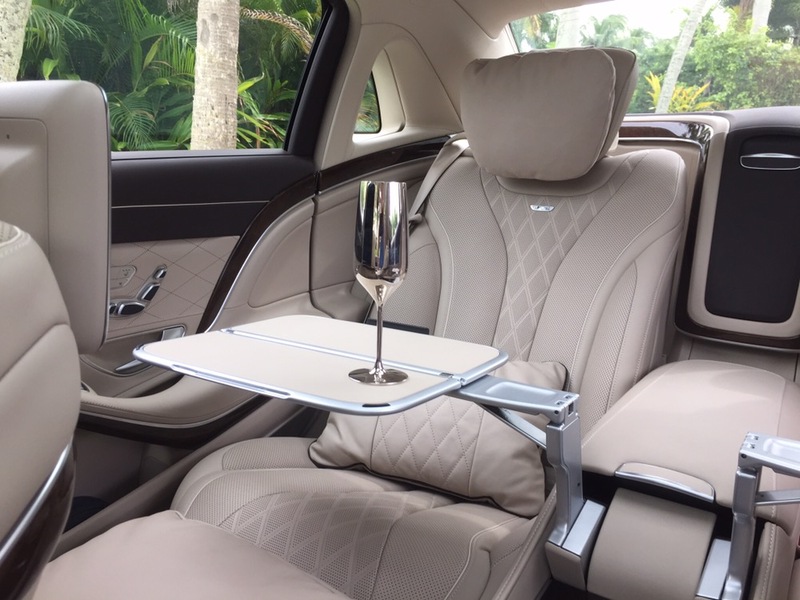 On the off chance that you actually have to work for a living, tray tables pop out of the rear center consol on the Mercedes S600 Maybach. Two leather pillows are elegantly placed for nap time in the rear. Rear and side window shades can automatically be raised to reduce ambient light. 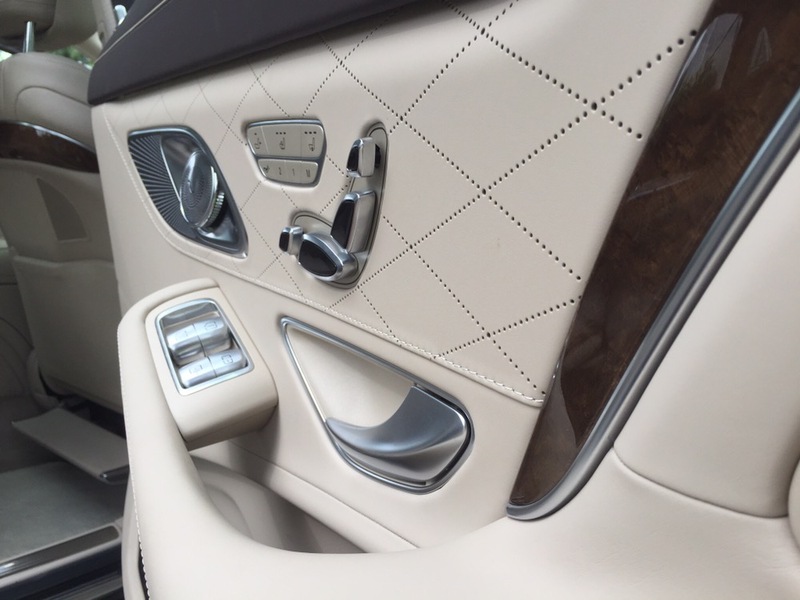 The 2016 Mercedes S600 Maybach wasn’t built just for the backseat passangers, the driver gets enjoy unprecedented luxury. 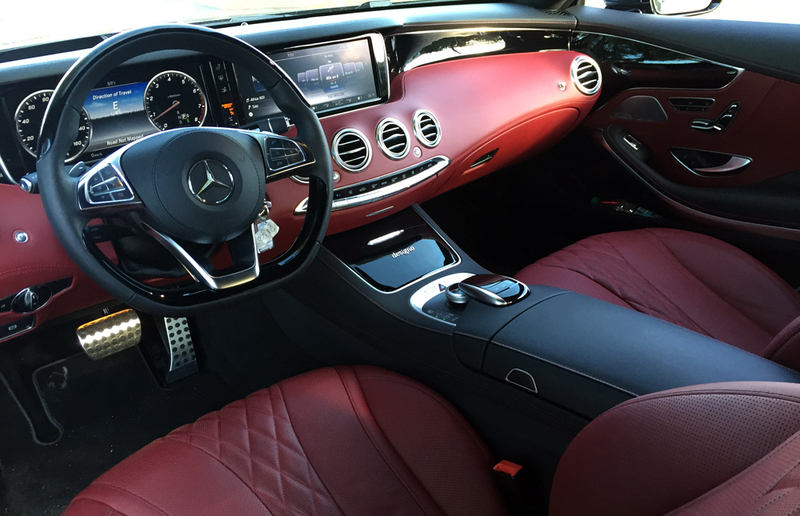 The cabin is a lined with Napa leather from top to bottom. A heated steering wheel, armrests, and seats keep you warm during the winter, while ventilated seats keep you cool during the summer. Two big and beautiful displays show colorful illustrations of your speed, route information, entertainment selection, and control options for the front and rear massaging seats. Imagine taking a one hour road trip with a masseuse gentle rubbing your back. 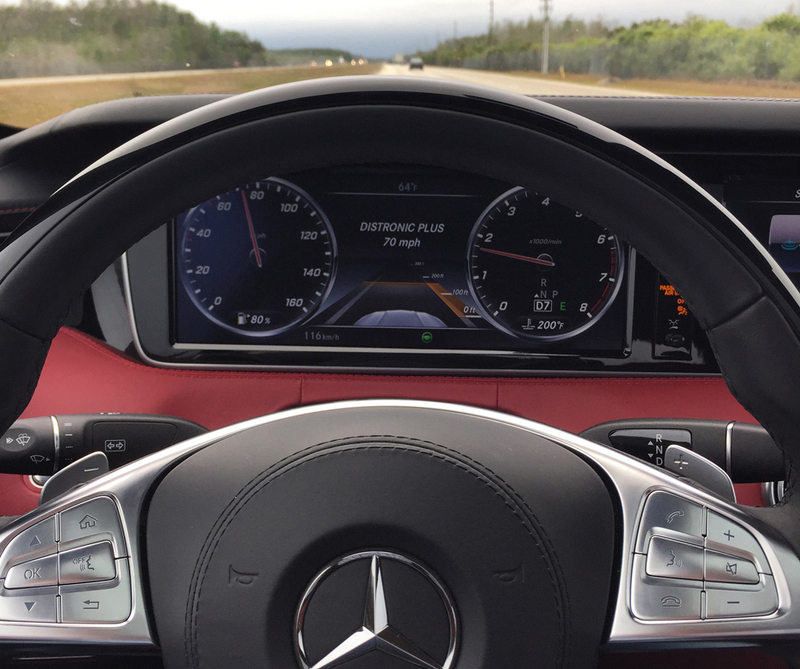 Should you feel the need for speed, just give the Mercedes S600 a little gas, and you will begin to feel the power of a twin-turbo charged V12 engine with over 600 horsepower. 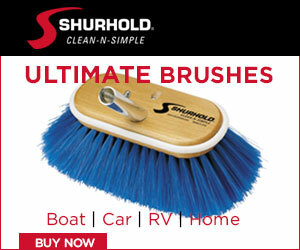 The transmission is wicked smooth – it glides you from zero to sixty in five seconds. 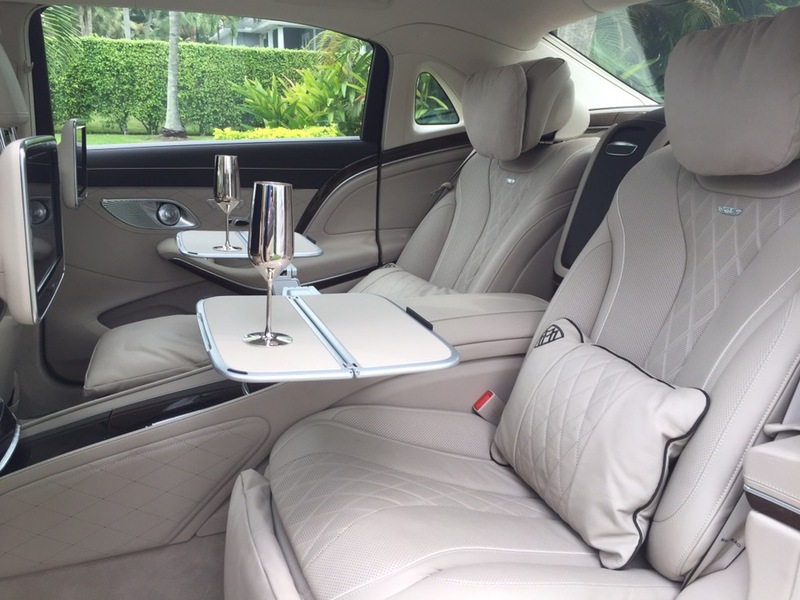 With private jet styling and one of the softest rides on the planet, the MayBach is back. But this time, with an iconic nameplate… Watchout Rolls-Royce and Bentley! From the late 1970s till now, how many vehicles have maintained their original body style? Some may argue that the 2015 Porsche 911 resembles its 1979 sibling, but lets face it, they are both very different cars. 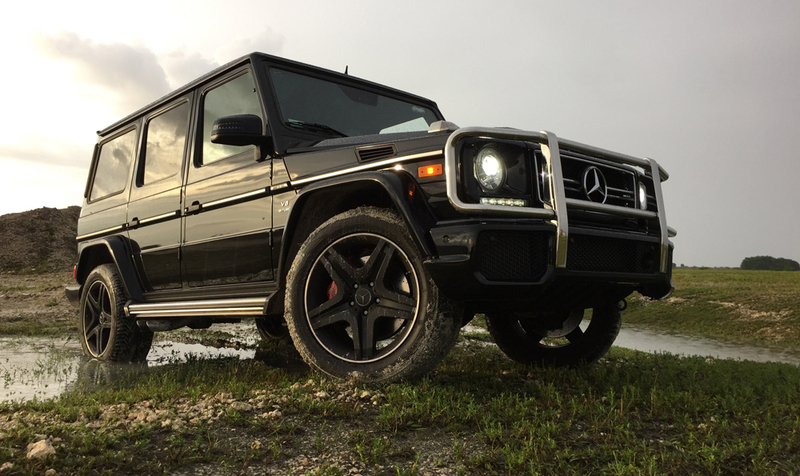 The Mercedes-Benz G63 AMG (aka G-Wagen or G-Class) is almost identical to its siblings from 30 years ago. It is vehicle that is sought after as both a status symbol and means of reliable transportation in the harshest climates. Why fix something that isn’t broken? The G-Wagen was originally developed as a military vehicle in 1972, with a civilian version made available in 1979. Many variants of the G-Wagen have been created, but it’s basic shape and style has remained the same. For example, the Pope had a custom G-Wagen created with a bullet-proof glass compartment for parades and events. 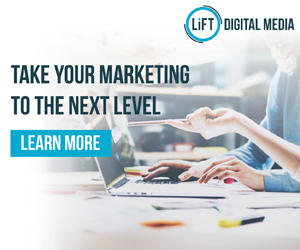 Now days, you will find the G-Wagen driven on the streets of Beverly Hills, Dallas, and Palm Beach by gorgeous soccer moms and NBA basketball players; few realizing the G-Wagon’s true potential. The G-Wagon is the ultimate off-road vehicle. Its three locking differentials, independent suspension, and low transfer 4X4 gearbox is why you will just as likely find the G-Wagon in the middle of the Article Circle. Very few vehicles offer three locking differentials – this allows both the front wheels and both of the rear wheels to spin with even power… You won’t find that on a Land Rover! The Land Rover Range Rover for instance has two locking differentials. Meaning that even though it has four wheel drive, not all of the wheels will have even power. 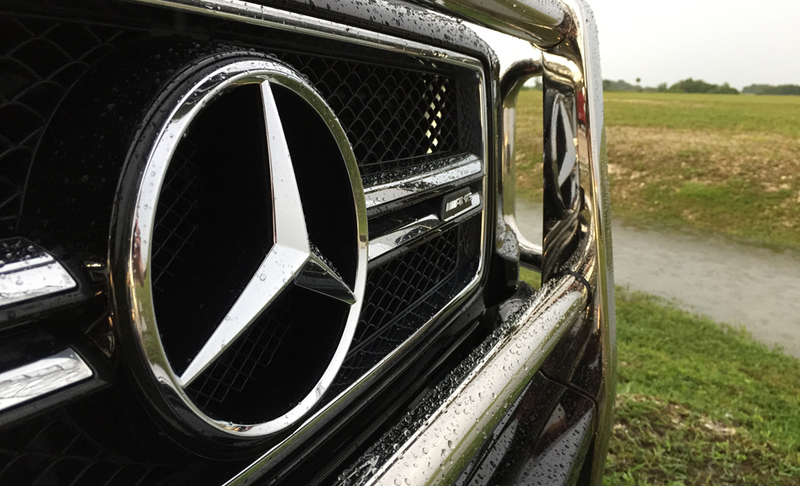 The G-Wagen that I tested was powered by AMG, Mercedes’s high-performance division. 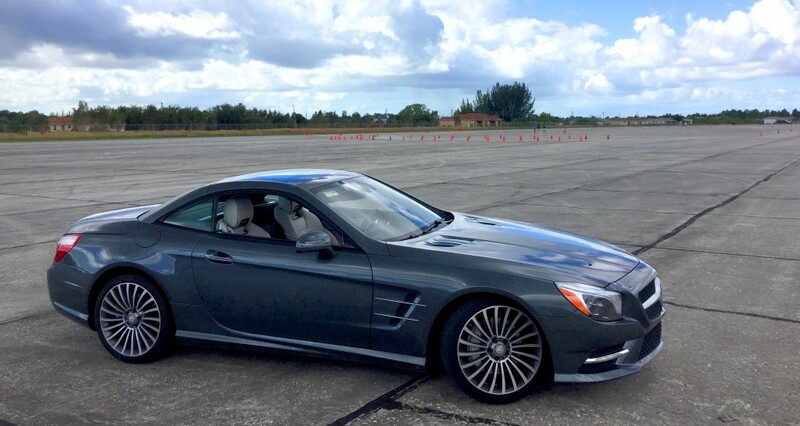 It featured a hand built 536 horsepower biturbo V8 engine. The motor is paired with a 7-speed AMG transmission, which helps launch the G-Wagen from zero to sixty in 5.3 seconds. It also has a sport exhaust, which produces a hearty rumble. So why does an off road vehicle need so much power and a loud exhaust? Because it is awesome! 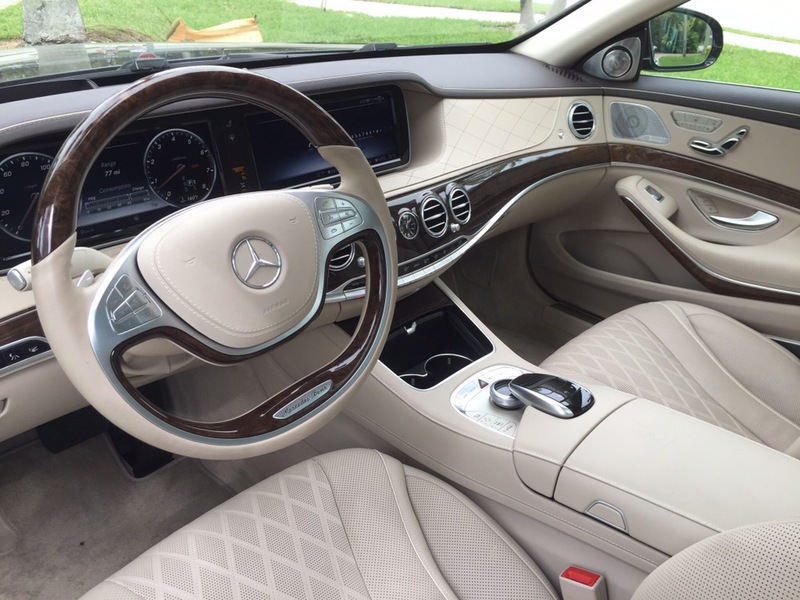 I am normally a big fan of Mercedes-Benz’s interiors. The manufactures does an impressive job of combining old-world luxury with modern design and technology. I wasn’t very impressed with the G-Wagen. 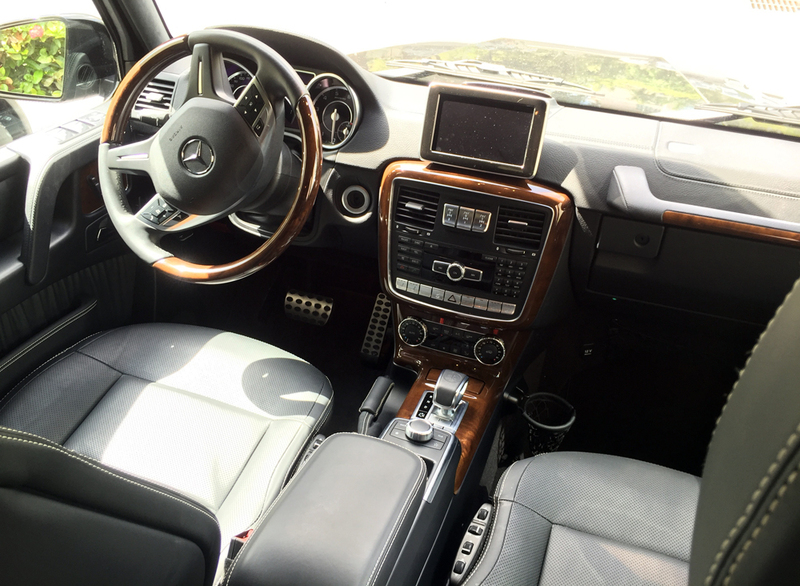 Don’t get me wrong, the interior is well crafted and uses high quality materials, such as premium leather and real wood trim, but it is too boxy for my tastes. Also, I hate the infotainment screen in the center, it looks like an after thought. 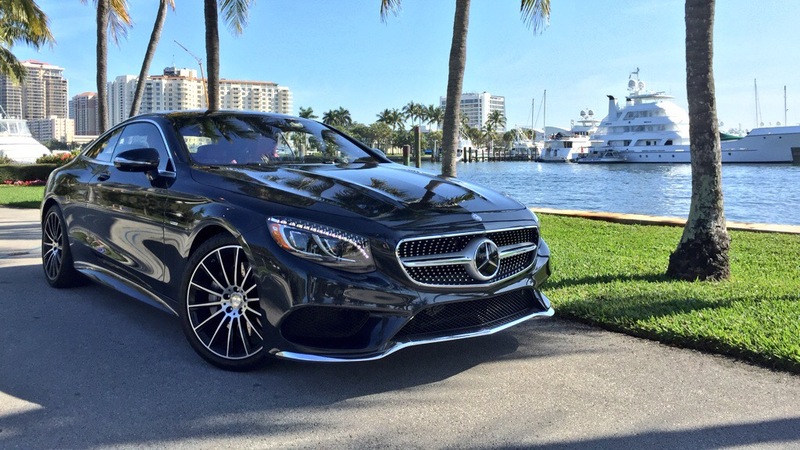 While it may not be a traditional “US” Mercedes-Benz in terms of style, it upholds Mercedes’ standards in terms of comfort. 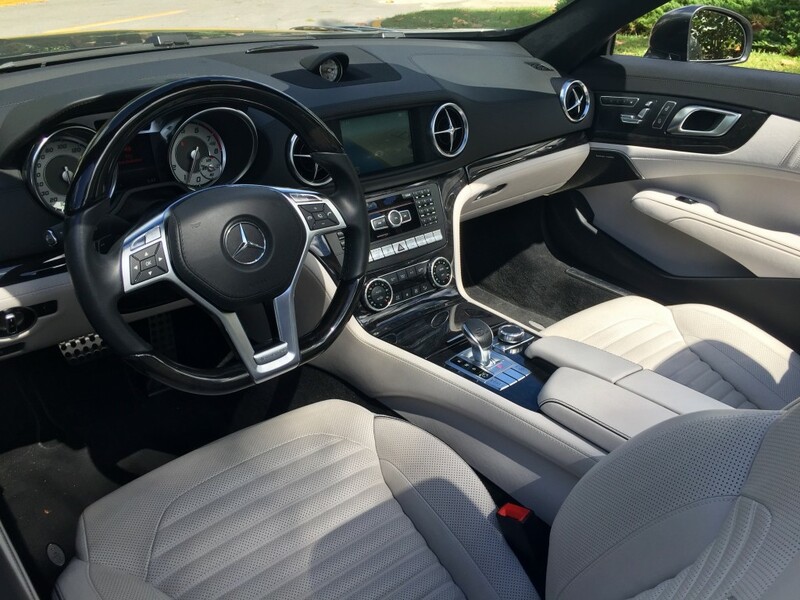 The seats were incredible; they offered a multitude of adjustments and were very comfortable for my 2 hour day trip from Ft Lauderdale to Naples, Florida. The vehicle also offered a massive amounts of headroom. I am 5’8″ and I had nearly a foot of room above my head – if you are a tall guy, this could seal the deal by itself. The Mercedes G63 AMG is the second longest production vehicle to carry the Mercedes-Benz name plate, and I hope it stays that way. It has truly stood the test of time with great engineering, great build quality, and loyal fanbase.